eliminate the possibility of unfilled spots forming in the product. What shape is required for the product? A sharp edge? A rounded edge? Which shape is easier to produce when building the mold? In Fig.below, the wall surface ends with a sharp comer (5) on the outside (: it the parting line) and a radius (R) on the inside. This is a “natural” shape. The corner S is sharp because two mold parts meet there. The radius R represents the cutting corner of the milling, turning, or grinding tool used to produce this corner. For increased core strength (to reduce the notch effect and the resultant weakness of the core), the radius R should be as large as possible. It is not practical to specify a corner radius smaller than 0.25 mm (0.010 in.). With this shape (Fig. 1), there is no problem with mismatch between cavity and core. The radius on the inside of the cavity shown in Fig. 4.12 should also be as large as possible, partly for the same (strength) reasons, but also because a round comer will improve the molding condition by allowing easier flow around a radius. In contrast, a sharp corner increases the thickness of the product without adding to its strength. The sharp corner at the top of the core is easy to make but is not a good shape for the plastic flow. We will look at this particular area later on. In Fig. 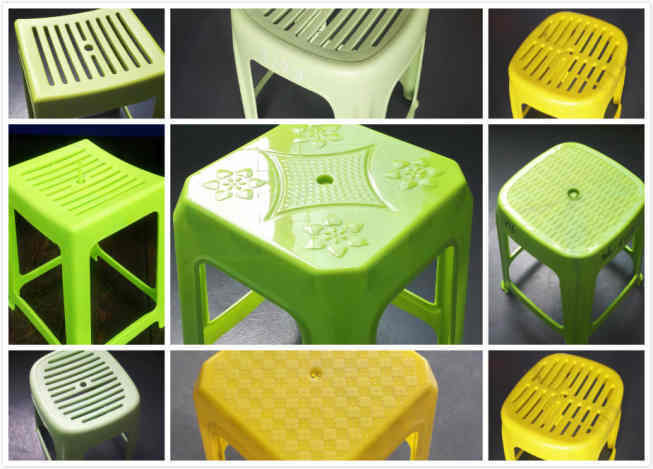 1, the plastic stool mould design requires a rounded edge at the end of the side wall, so the parting line must be shifted to where the radius meets the outside wall created by the cavity. There is usually no particular reasoning against this design, except that it is somewhat more expensive to produce. For very light products, especially when stripper ejection is used, the radius that is cut into the stripper might cause the product to hang up and not fall free from the mold. 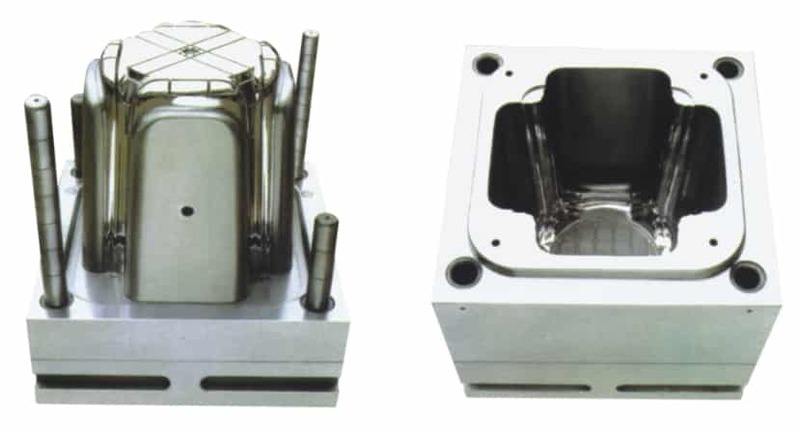 Special mold features such as air blow off or mold wipers may then be required to ensure that all pieces have ejected. There is usually no problem with heavier molded pieces weighing maybe 20 grams or more. The main problem with a rounded edge at the end of the wall is that mismatch is possible between the cavity and core which can result in a small but sharp comer (ridge) where it might not be acceptable for the product (Fig. 2). An example is the rim of a drinking cup, where a ridge could be disagreeable on the lips when drinking from such a cup. Reduce the significant tolerances of cores and cavities, and on the dimensions affecting the alignment (elements) of the plastic stool mould. 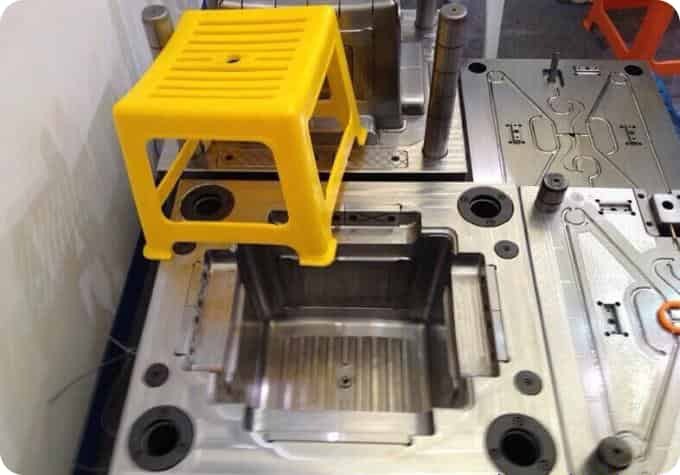 This can be very expensive but can (and should) be done with high quality mass production moulds to ensure that all products are as close as possible to the ideal shape and that the mold components are interchangeable. Correct the plastic stool mould after it is completed and tested: the mismatching areas are blended by hand, by grinding the offending ridges. 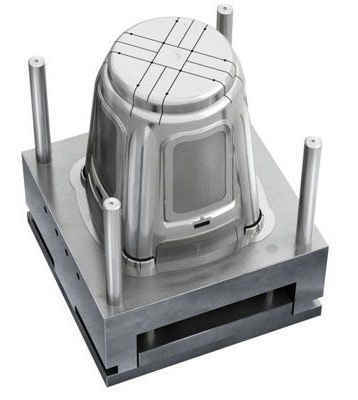 This is frequently done but not recommended because, in multicavity moulds or where a number of identical moulds are used for the same product, each product, from each cavity, may be different . Decide on which side a ridge would have the least disagreeable effect on the end user or on the performance of the product, and then dimension one side different from the other so that, in the worst possible case (all tolerances in the “bad direction), the piece still will be acceptable for its intended use. In this ease ，the half-round recess in the stripper is intentionally slightly smaller than the thickness of the rim. With all tolerances in the “ideal” direction, there will be a minimal ridge. With all tolerances adding in the bad direction, the step of the ridge will be the sum of the tolerances but still is acceptable. In the case of a round container, the dimensions affected are the diameters of the rim in the cavity, the core, and/or the stripper ring. Similar methods are used to avoid any parting line mismatch, regardless of the plastic stool of the parting line: round, oval, rectangular, irregular, or offset. The more difficult challenge is to foresee where mismatch can occur，and to determine how to dimension the product.